Darren Harriott is coming to Manchester on the 14th October 2018! 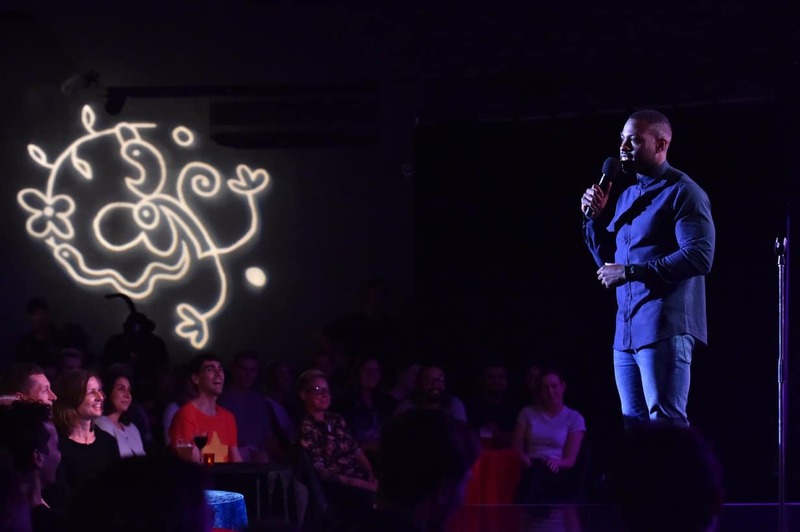 After being nominated for Best Newcomer at 2017's Edinburgh Comedy Awards, Darren Harriott takes his brand new show Visceral across the country in a month long UK tour. Gangs, grief and guts... Darren no longer throws people out for a living, he now entertains them, but how does he still try to stay true to who he is. Not one to shy away from difficult topics, Darren tackles his childhood, his time in a gang during his school days and how life has changed for him with the expectations he puts of himself. Visceral will captivate audiences by making fun of his past, present and future as well as everyone else's. Originally from Birmingham, and now living in London, Darren Harriott is a regular at clubs such as the Glee, Top Secret, Backyard Comedy Club, The Boat Show, 99 Club and Up the Creek. At 2016's Edinburgh Festival Fringe, he was a part of the prestigious Pleasance Reserve and made his debut in 2017, where he was nominated for Best Newcomer at the Edinburgh Comedy Awards, featured as one of The Guardian's Recommended Shows and received a transfer to the Soho Theatre for an eight-date run. 2018 sees Darren fly over to Australia to perform at the Melbourne International Comedy Festival as part of New Order. Since then Darren has gone from strength to strength having appeared on the TV in Live at the Apollo (BBC Two), Russell Howard's Stand Up Central (Comedy Central), Comedy Central at the Comedy Store, Achievement Unlocked (Comedy Central Online), and The Great Xmas Rant (ITV2) as well as featuring on BBC 4 Extra Stands Up (BBC Radio 4 Extra), Best of the Fest, The Now Show (both BBC Radio 4) and Fighting Talk (Radio 5 Live). You can see Darren live in Manchester at the Frog and Bucket on the 14th October. For the rest of the venues on the tour and for tickets go to the website link below.